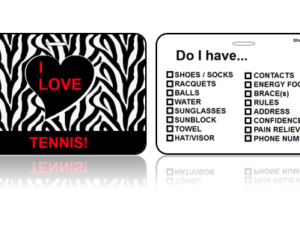 Sports Bag Tags Tennis Zebra Print - choose from several designs! Sports Bag Tags Tennis Zebra Print are a great way to pay tribute to the hard work and dedication of your team! 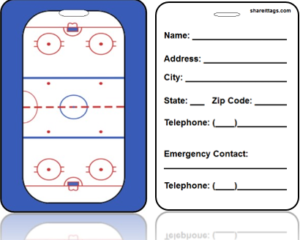 In addition, you can also add your contact information, an itemized checklist or a personalized message to the back of the Tags, which adds a special touch. 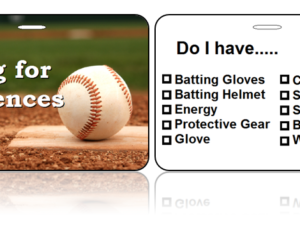 Never forget what you need to bring with our Sports Bag Tags checklist! Checklists can be customized to suit your needs. EACH Quantity discounts are available, for quantities over 250?Click here for quote. 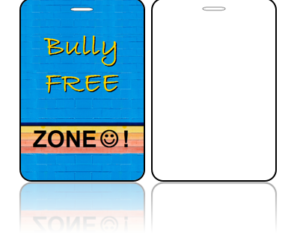 Awareness Bag Tags - Anti-Bullying Add your contact information or a personalized message to the back of your tags.Size: 3.88" x 2.63" Material: Durable PVC Plastic Features: High Definition Print Pre-punched HoleEach Bag Tag includes (1) Luggage Loop! ?Not exactly what you were looking for? Click Create Design!